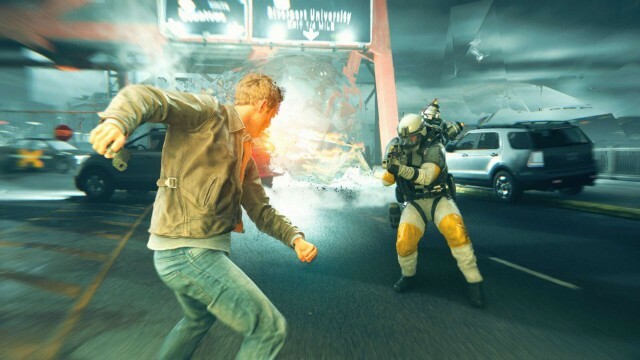 Quantum Break developer Remedy Entertainment has acknowledged the various technical problems primarily affecting the Windows 10 version of the game and is “working diligently” with Microsoft to address the known issues and fan feedback. In a statement on the studio’s website, they thanked fans for their patience on waiting for an update and, similarly, for their support of the game in general. We are aware that some players are facing issues with the Windows 10 version of Quantum Break and some extent on Xbox One. We want to let you know that we are working diligently with Microsoft Studios on addressing all the feedback. We want to thank our fans again for all their continued support for Remedy and apologize for any problems you have faced playing Quantum Break. We are paying close attention to forums and the discussion online about Quantum Break and are doing our best to solve the issues you are experiencing. For a full rundown of all the problems Remedy is aware of, you can head over here to see if the studio has any temporary solutions for your woes. The most prevalent issues so far seem to be related to stuttering frame-rates and delayed texture loading on the Windows 10 version. Remedy has no stop-gap fix for the former, but says restarting the game will temporarily fix the latter. The developer says that a future title update (no release date for that just yet) will hopefully fix most of the major problems affecting players. We sure hope it’s sooner rather than later, as Quantum Break is a fantastic third-person shooter and looks stunning on PC and Xbox One. You can read our own review right here for more on why we loved it so much.